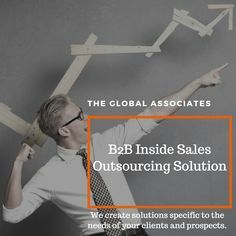 The Global Associates Lead Generation Services devise new strategies and adopt state-of-the-art technologies in their endeavor to generate quality leads on a regular basis. Time-tested tools and techniques are sometimes not enough to help lead generation services create fresh opportunities as some adverse situations creep in suddenly without any prior warning. Business is, after all, full of periodic ups and downs, one must learn to handle difficult situations calmly. Lead generation services do their best to avoid difficult situations but that is not always possible. It becomes essential, therefore, to coolly handle the difficult situation that has crept in unawares. Prospects sometimes tend to react in a strange way, catching you off guard with their tantrums or negligence. The best way forward is to try and retrieve the situation to the best of your abilities. Some such situations are discussed here. There are times lead generation services feel the deal is theirs but the prospect suddenly turns hostile offering illogical reasons for not dealing with them. Very disheartening, no doubt, but don’t panic yet. Perhaps the prospect didn’t even get time to judge your offer till now and said so out of embarrassment. It’s best to approach them again and present your offer once more. It could get very disturbing if the customer misses an appointment without any prior information. Has he turned hostile? Have you already lost the lead? No need to panic yet, keep your cool and ask for another appointment. Perhaps they had a genuine reason for missing the meeting. Lead generation services should be wary of deals with vague time frames. A prospect could keep you waiting despite being motivated enough if they don’t have any clear deadlines. You should try to find another decision maker there who appreciates the suitability of your solutions. This may expediate the process.